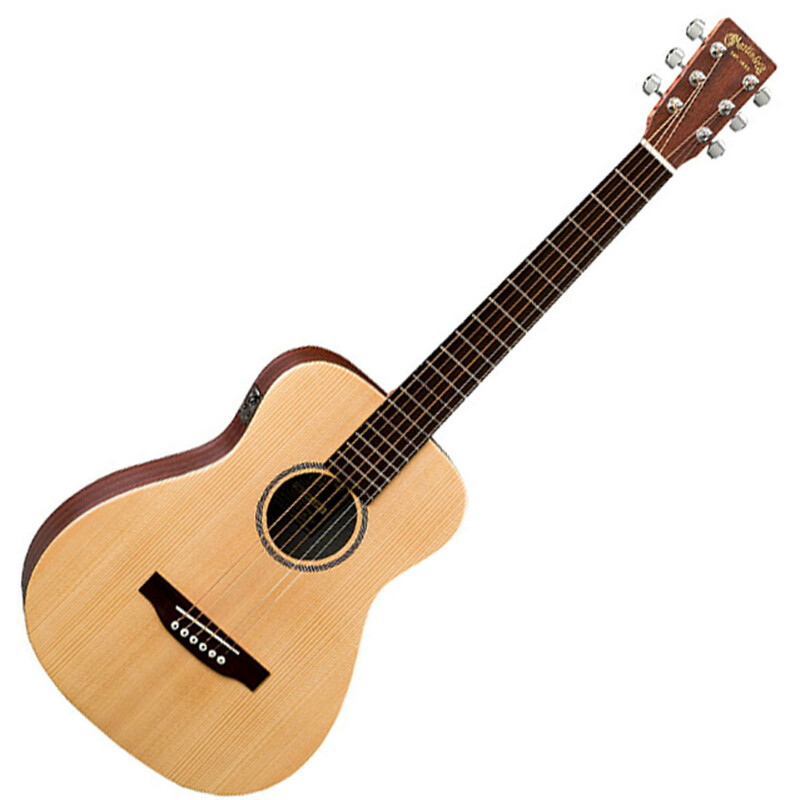 The Martin LX1E Little Martin Electro-Acoustic Guitar features a solid Sitka Spruce top, Mahogany high-pressure laminate (HPL) back and sides, and a warm satin finish. Despite being Martin's smallest guitar, the LX1E is very big on tone, quality and versatility. It's size makes it ideal for travel, student practice or for just playing around the house or campfire. The Martin LX1E is fitted with the Fishman Isys T electronics system, which houses a built-in seven segment chromatic tuner, an EQ tone shaping control, a volume control switch and phase control.